Members of chambers have acted in civil and criminal cases which concern contractual and regulatory problems regarding products, including products covered by the Directives of the New Approach and Global Approach/ New Legislative Framework. Chambers undertakes advisory work on liability issues arising both in the supply chain and at the point of placement on the market/retail. 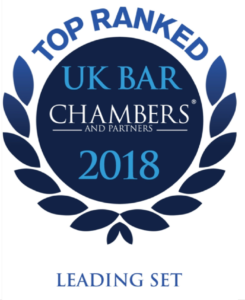 Chambers advises on the applicable law in specialist (sectoral) areas such as toys, electrical and gas appliances, medical devices, food, food imitations, cosmetics and tobacco, as well as the application of the general law to “products”. Members of chambers are experienced in advising on product recalls and other regulatory interventions. Expert evidence has also been supplied for use before a foreign court in a case involving the safety of items which could be mistaken for food. Claire Andrews and Professor Geraint Howells are active members of the Product Liability Forum.